I am a little hungover today, so I can’t think of a clever way to start this post. You see, I was out last night at the New York Musical Theater Festival’s ‘Best of Fest’ concert, which was a really lovely concert featuring the work of some of musical theater’s new writers and composers and talents, and it was delightful. Afterwards, there was a reception in which you could mingle with said new writers and composers and talents and drink wine, and that was delightful. After that, some of the aforementioned new writers and composers and talents and I went and sang karaoke (well, I didn’t. For the good of all involved) and drank more wine, and that too was delightful. And then I went home and went to sleep, and when I woke up, well, that wasn’t so delightful anymore. 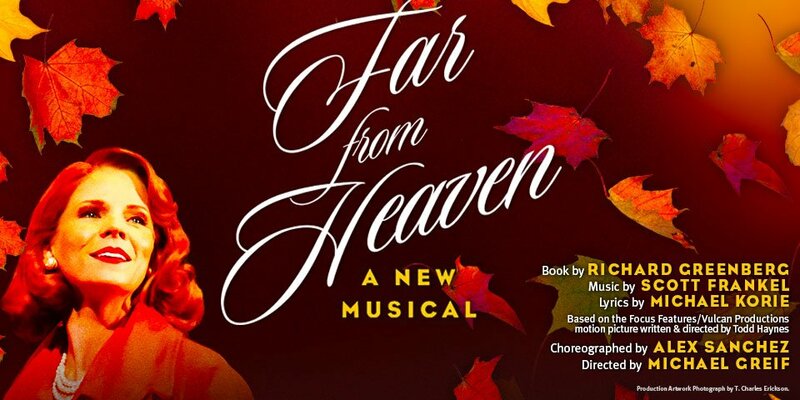 Anyhoo, lots of fun happenings in our little world of musical theater these days. But one of my favorite things of the week happened when something from within our own little peculiar universe ventured outside, and the world at large reacted in a way that pretty much made my week. You see, one thing you learn when you are a fan of musical theater is that those who are not fans of musical theater seem to not really understand what goes on in our magical, mystical realm of sequins and jazz hands and Mondays off. We speak of strange, wonderful things, of men named Sondheim and things like backphrasing and we use words like ‘nut’ and ‘dark’, but in entirely different ways than most other people use them. And even better, musical theater performers can do things that normal humans cannot. Let me explain. The X-Men movie franchise is alive and well, and as the newest incarnation, called ‘X-Men: First Class’ (because it shows the origins of the X-Men school, and thus young versions of the older characters in the previous films) is gearing up, casting rumors have been flying fast and loose. One such rumor that began last week began when the Times said that Benjamin Walker, star of the Public’s ‘Bloody, Bloody, Andrew Jackson’, had been offered a plumb role in the new franchise. But who could he be playing? Now, let me back up a bit here and talk about Benjamin Walker. First of all, Benjamin Walker is dreamy; a strange combination of a big man with a baby face, and very pale man with very dark hair, it all somehow works. 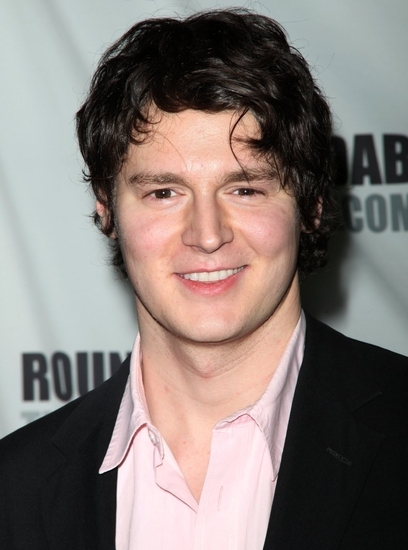 Benjamin Walker is also talented – he’s a Juilliard grad who’s been working consistently since graduating, he anchors ‘BBAJ’ so completely that the industry talk is that there is no point in moving the show if they don’t have him in it. But most of all, Benjamin Walker’s got what I call ‘the Juju’ – whatever he does, you can’t look away. Benjamin Walker, simply put, is a star. And it’s not surprising that movies figured this out. Yes, that’s right. Ben Walker is in musical, and he sings, so clearly he must be playing the mutant WITH A SUPERHUMAN, SONIC SCREAM. That completely makes sense. Because being able to sing definitely means that you can create mutant noises. * And there’s no way that this movie franchise would ever use, say, special effects to create that scream (that daughter must have been played by Anna Kendrick – she does the musicals too!). Nope, better hire a singer with ‘musical connections’ (like the mob!). But wait a second there… Hugh Jackman has won Tony Awards for his musical theater doin’. James Marsden was in the movie version of ‘Hairspray’, singing and dancing up a storm. Kelsey Grammar, who played the older version of the part that is now officially Ben Walker’s, is currently starring on Broadway in ‘La Cage Aux Folles’, a musical. Maybe I don’t have this quite right at all – maybe musical theater people really do make the best superhuman mutants! So there ya go, X-Men film franchise. Congratulations on your snagging of the delicious and talented Ben Walker. But next movie, could you throw a little credit our way and acknowledge the secret talent pool from which you’re drawing? I’m thinking you can throw in a new mutant – ‘Bernadette Fosse/’Razzmatazz’ – a brassy belter who can shoot electricity out of her fingertips. But only when she’s doing Jazz Hands, of course. *It also begs the question that if Banshee’s power were something that most singers could do, why would his parents have sent him to Mutant school, and not, say, Stagedoor Manor? Does that mean that the next X-Men movie will be set in Stagedoor Manor, and the kids will all be like ‘mutant power: tap dancing’.